Instead of spending more energy or more money trying to improve the appearance of your old flooring, upgrade to a resilient flooring material that won't degrade. Luxury vinyl tile is a perfect choice to transform the look of your property. Available in a number of colors, textures, and patterns, it makes a great addition to your bathroom, kitchen, or any area that gets a lot of foot traffic. Come by our showroom to explore our selection of products, and let us guide you every step of the way—from selection, to design, to luxury vinyl tile installation. Due to huge advances in manufacturing techniques, LVT is available in a number of designs that closely resemble high-end flooring. You can now have the look of hardwood, natural stone, or marble for a fraction of the cost. Our resilient flooring collection offers a number of benefits to any home or business. You can have the colors, designs, and patterns you want when you shop our various selections. This flooring is stylish, durable, and slip resistant. You never have to worry about small children or pets leaving their marks behind on your LV. Thanks to its sturdy consistency, it resists most kinds of damage. Choose a resilient floor to save time and energy. It offers the best of both style and practicality. Bring home the beauty of tile without the hassle of upkeep. Luxury vinyl tile flooring is a convincing, yet low-maintenance alternative to true tile. Ceramic, porcelain, and stone tile are all beautiful flooring options; however, they may not be as budget-friendly as you’d like. Our LVT choices offer all the beauty and practicality you need at the most cost-effective prices. Both stylish and sturdy, these options work well anywhere in your home. They won't stain, crack, or chip, making them a great flooring choice for any area or room. Choose LVT and discover the difference it can make in the look and feel of your home. Are you interested in hardwood flooring, but not in the cost that comes with it? Consider choosing realistic LVP floors, instead. Our vinyl plank floors are as beautiful as natural hardwood, and they are barely distinguishable from the real thing. They come in a variety of species, complete with grain patterns and whorls. Once you have it professionally installed, this flooring is an appealing and great performer for any property, and it’s guaranteed to last for decades. Once you've settled on the vinyl product you prefer, be sure to schedule professional installation from our skilled, efficient installers. Only an experienced installation team can guarantee the quality of your new floors; with our help, it's easy to make the most of your latest investment. Reach out to our team to schedule an installation appointment at your home, or ask about other flooring options from our store. 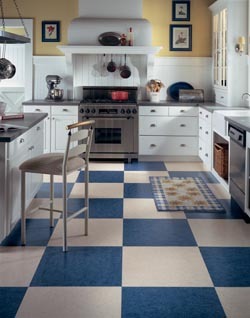 Contact us to learn how you can bring home luxury vinyl tile. We are proud to serve clients in Owen Sound, Port Eglin, Wiarton, Kincardine, Hanover, Meaford, Flesherton, Tobermory, ON, and the surrounding areas.